Welcome to the internet's finest, most interactive community for HVAC professionals. Pipeline DevCo is proud to host the "best nuts-and-bolts training in the industry"; we're also dedicated to providing powerful tools to help our community members size their HVAC systems and to select their necessary HVAC equipment. While you're here, make sure to utilize our other valuable resources for networking with other professionals, discussing industry related topics, sharing thoughts or ideas with other professionals, or simply connecting with specific equipment manufacturers. 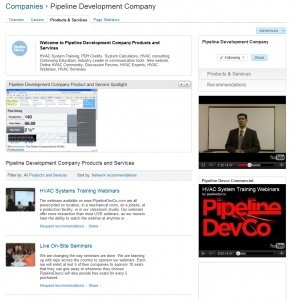 Pipeline DevCo is the HVAC industry's source for information, contacts, training and education, and customer leads. We invite you to utilize our products and services to help you kick-start your HVAC business today! Participate in the push to educate and inspire other HVAC professionals from all around the world. Our discussion forums are a valuable resource to our community where we can all learn, share, and excel with one another. We invite you to join us, but please make sure to read and abide by our Community Guidelines. Connecting to and networking with other professionals within the HVAC industry is imperative to anyone who wishes to excel in the business. If you aren't already utilizing the social media tools that are available on the internet, then we would strongly urge you to get started today! We invite you to follow us using any of the programs listed. We are always seeking talented and skilled individuals who are interested in working with us to present specific training topics to our users. Each applicant must be able to demonstrate their subject knowledge and their presentation skills. Please contact us if you are interested in applying. PipelineDevCo is working hard to revolutionize the HVAC industry's approach to education, advertising, marketing, and communication. Through the development of our Fusion Advertising®, we offer innovative products and services that replace the antiquated methods of online banner advertising and help turn your marketing and advertising efforts into a lead-generating machine. 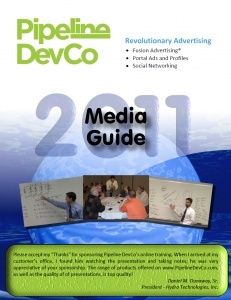 Read the Pipeline DevCo media guide to find out how our revolutionary approach can help you manage your brand, generate leads, and build synergy in your marketplace! Did you say FREE? In a depressed economy filled with budget cuts and conservative spending, anything of value that is offered for free can be a life saver. Pipeline DevCo is proud to offer many of our services at NO COST to the members of our online community, but we couldn't do it without the financial support of our sponsors. Their financial contributions make it possible for us to provide free online training programs, free software for HVAC system sizing, and free access to valuable HVAC resource tools. You can help to keep our services free by supporting our sponsors and contributing to their success. Please view our list of sponsors to find out more. If you or your business are interested in supporting the unique services offered by Pipeline DevCo, or if you are looking to gain more exposure or to grow your business within the HVAC industry, than become a sponsor of Pipeline DevCo today! Contact us to find out more.